Greetings valued Dan's Movie Report readers, a swerve to the left for Epic Films Book Of Monsters! I know, yes I am late to the review party, but ha, I had to get me 2.5 cents in! Going to keep this review short, why cause it has to be! Book of Monsters for me plays out like a horror comedy, yet, has elements of Never Ending Story, haah, well only the book part! Plus I mean there are evil redheads, scary gnomes and just various random craziness! It seems to borrow from other films but never copy them, so there is a chainsaw attack near the end, but the film is not Texas Chainsaw Massacre. 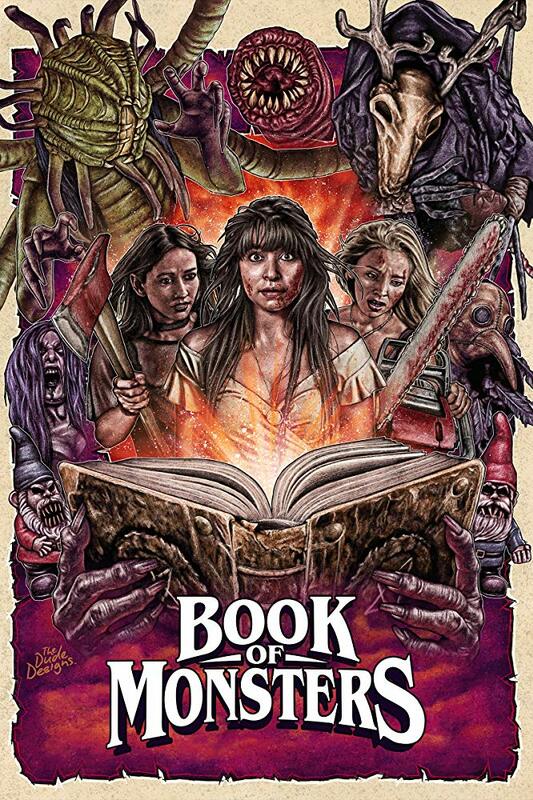 OK so get the film, it is out now!, Book of Monsters rates a 6.5 out of 10! I recommend a definite rent, buy it if you dig indie horror comedies mixed with action! The film is out now on AMAZON! Also for rent on various platforms for 3 or 4 dollars!